SuperSlav has done his best to paper over the cracks for today's crunch clash with Crystal Palace by reverting to a (probable) three at the back, buts whatever way you look at it, one gets the sense that Big Sam will smell blood! James Collins gets a rare start with many of the view that he might find himself at Palace by the end of January! Nobes returns instead of Fernandes to partner Pedro Obiang in midfield. The ability of this pair to cope without the AFCON-busy Kouyate will be a key determining factor in today's outcome. Up top, Feghouli and Lanzini will be trying to link with big Andy to show what we can do without L'Etranger Dimitri Payet. Maybe the freedom of playing without trying to constantly get the ball out to Dimitri will help their form improve? 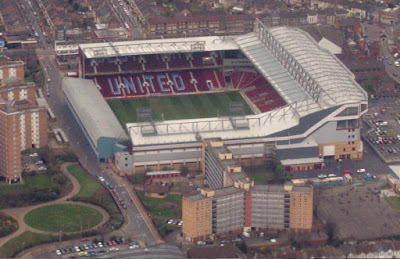 Sam will be loving his visit to the Olympic Stadium and will undoubtedly try to use a jittery home support to his side's advantage. Hmmm. A point might be a good result but all three would send out a much needed message to everyone that we are more than a one man team!